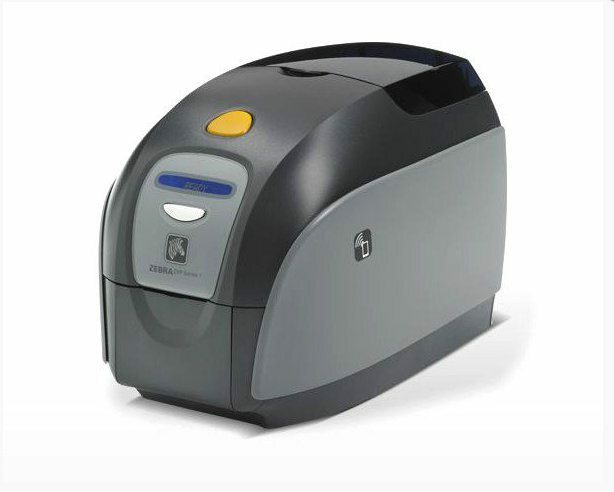 The Zebra ZXP Series 1 Card Printer is the companies entry-level model. Small but mighty, the ZXP1 packs a heck of a punch. With advanced technology and robust construction, this low-cost printer is on par with many of it’s larger more expensive counterparts. Ideal for small businesses and organisations this printer is a great place to start if this is your first foray into the world of plastic card printing. With an incredible print speed of just 35 seconds for colour and just 7 seconds for monochrome, the ZXP Series 1 is extremly efficient – on demand printing has never been simpler. Boasting industry leading technology the ZXP Series 1 card printer offers superior image quality with photorealistic representation of images, brigh vibrant colours and deep, inky blacks. Though it may be, there is nothing entry level about the ZXP Series 1. Packed full of features and technology to rival far more expensive models, this Zebra Printer allows for the production of superb full-colour, high-definition cards that are truly stunning. If this is your first foray into the world of card printing, you won’t go far wrong with the ZXP 1.